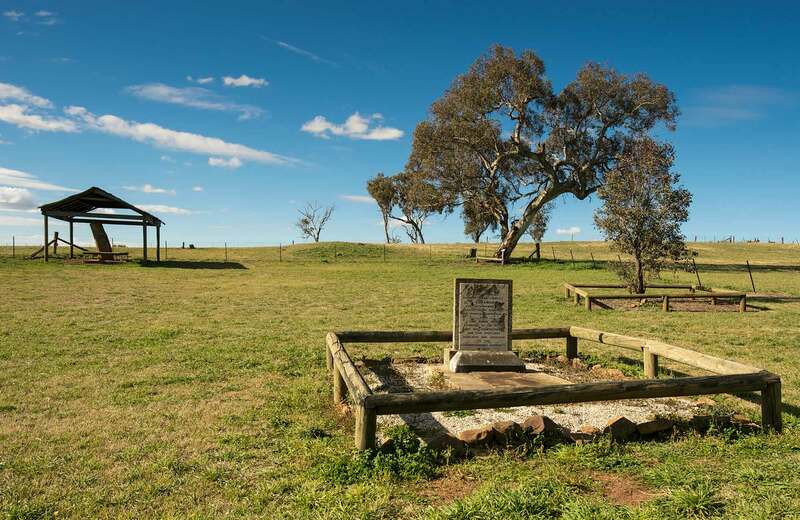 The gravesite of Yuranigh, Sir Thomas Mitchell’s Aboriginal assistant, is the only known site in Australia where Aboriginal and European burial practices coexist. 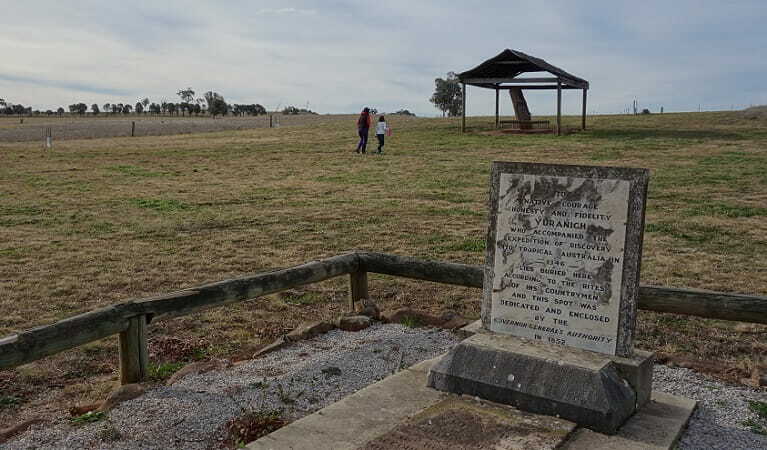 Yuranigh's grave is located just 4km south of Molong and 32km north of Orange. 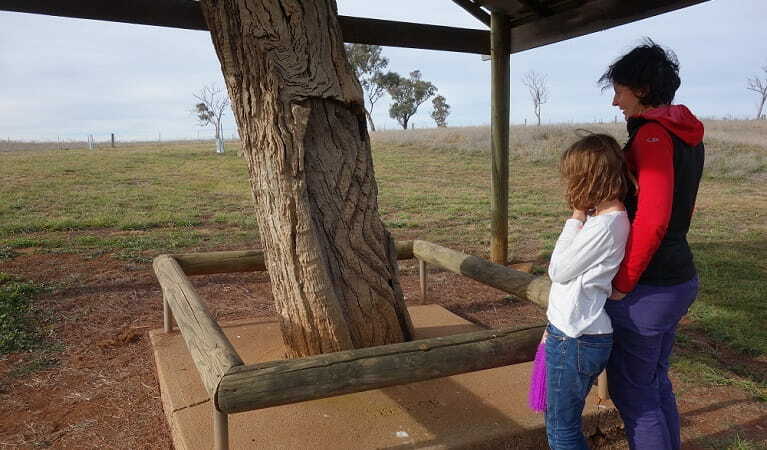 It's a significant historical site that bears witness to important early interaction between Aboriginal and European cultures. 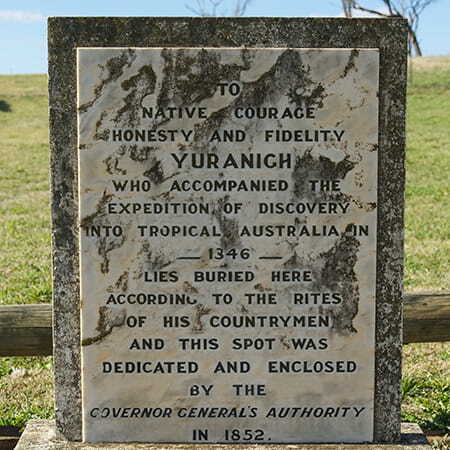 Yuranigh, a Wiradjuri man, accompanied early explorer and surveyor Sir Thomas Mitchell on an expedition into the tropical interior of Australia in 1846. When Yuranigh died 4 years later, he was buried within a circle of carved trees, according to the traditional custom of his people. Out of respect, Mitchell also had a headstone placed over his grave. 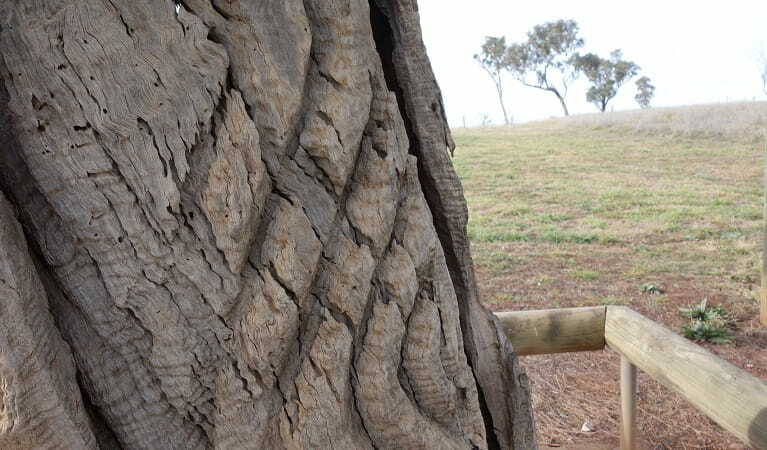 As a result, the gravesite contains a unique combination of Aboriginal and European burial customs that is not known of anywhere else in Australia. An interpretive sign explains more about the history of this special site. Other signs contain diagrams of all of Yurnigh's burial tree carvings. 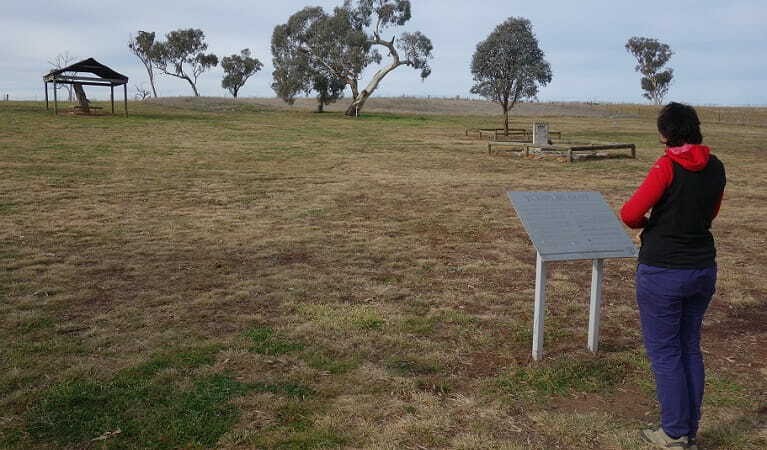 Yuranigh's Aboriginal Grave Historic Site is always open but may have to close at times due to poor weather or fire danger.